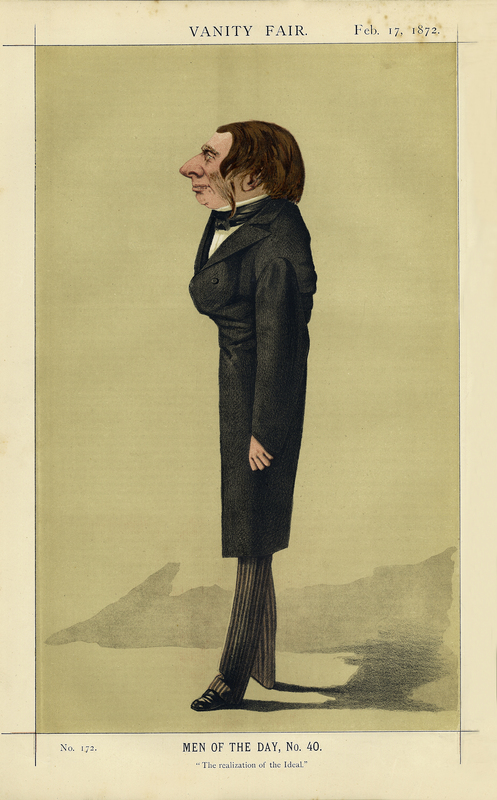 ‘[I]t is Mr. Ruskin's great misfortune’, writes Vanity Fair, ‘to be an incurable poet and artist in a materialistic and money-grubbing generation’. John Ruskin (1819-1900) was the pre-eminent British art critic of the nineteenth century. An early admirer of Turner and the Pre-Raphaelites, his ideas influenced Oscar Wilde, William Morris, and Mahatma Gandhi. Adriano Cecioni, “John Ruskin,” ourheritage.ac.nz | OUR Heritage, accessed April 22, 2019, http://otago.ourheritage.ac.nz/items/show/10886.